The Huskee 42 in. 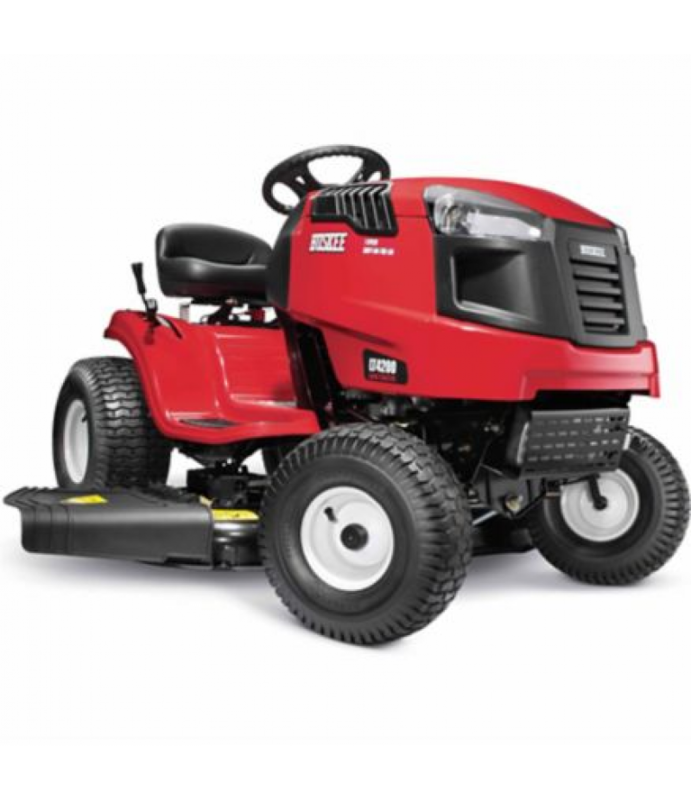 420cc Lawn Tractor is a practical, affordably priced mower. The 420cc POWERMORE engine with spin-on oil filter is easy to operate and provides the needed power to perform under tough conditions. This durable engi.. The Huskee 42 in. 420cc Lawn Tractor is a practical, affordably priced mower. The 420cc POWERMORE engine with spin-on oil filter is easy to operate and provides the needed power to perform under tough conditions. This durable engine features a forged steel crankshaft with ball bearings. This heavy-duty design ensures quality, reliability, and good performance over time. Cutting Deck Width: 42 in. Front Tires: 15 in. x 6 in. Rear Tires: 20 in. x 8 in.